Idsvoog have been fighting for broader access to public records their entire careers. They offer field-tested tips on how to avoid “no,” and advise readers on legal strategies if their requests for information go unmet. Step by step, they show how to avoid delays and make the law work. 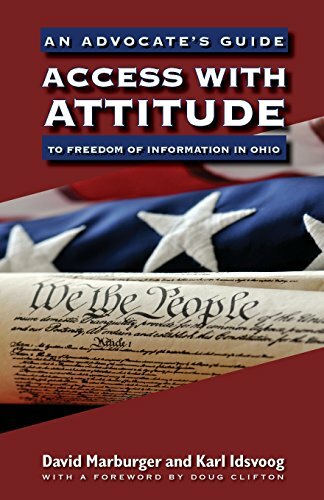 Whether you’re a citizen, a nonprofit organization, journalist, or attorney going after public records, Access with Attitude is an essential resource. If you have any questions about this product by Ohio University Press, contact us by completing and submitting the form below. If you are looking for a specif part number, please include it with your message.